For bulls, we arrange a whole variety of insider possibilities, such as private visits to bull ranches to see these magnificent animals close-up and learn how they are bred. Our favorite ranch 90 minutes south of Madrid is a truly authentic experience and a highlight for all those with an interest in bullfighting. For those who seek the unique experience of attending “La Corrida” we strongly recommend being accompanied by our bullfighting insider who explains the background, the rituals, the various people involved, the movements of the matador, the music, the crowd reaction etc. This way, it is possible to go behind the scenes at a bullfight and our clients have even been known to meet bullfighters themselves. 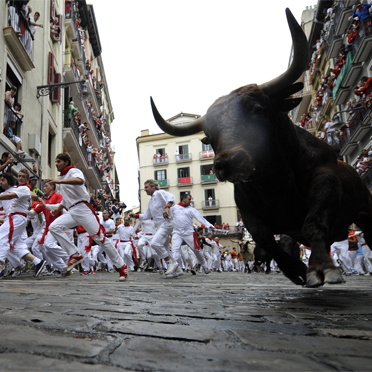 In fact, on one extraordinary day in 2012, four Madrid & Beyond clients actually ran the bulls with a matador during the festival of San Fermines in Pamplona! Providing special entrees to the little-known world of gypsy culture, an encounter and musical feast that often proves to be the highlight of a trip. It’s a rare and incredible experience. 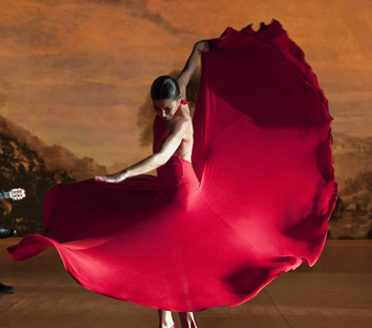 We also can arrange flamenco classes for young aspiring dancers! Of course, Spanish Traditions & Folklore go way beyond Flamenco & Bullfighting, we arrange a number of other cultural immersions such as an Insiders Experience of the Catalonian “Human Towers”, to witness the Castellers training and practising their two centuries-old tradition. For its values of collaboration, teamwork, effort, goal-oriented achievement and solidarity, UNESCO has recently declared Castells as a part of the Intangible Cultural Heritage of Humanity. 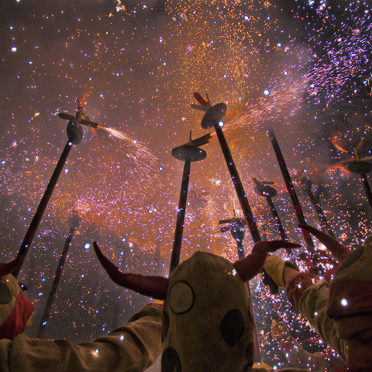 Spain’s festive and folkloric heritage is practically limitless. 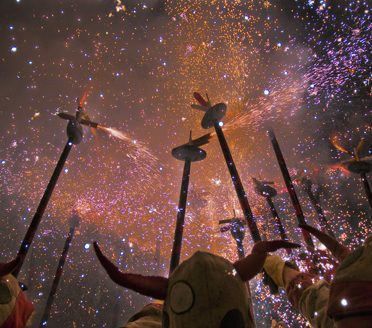 From the processions of Easter Week in Sevilla to the fiery Fallas in Valencia and literally thousands of local festivals we are happy to include special ‘local’ encounters when the Fiesta envelops you. In Portugal, the best expression of tradition and folklore is undeniably Fado. This authentic music genre, declared Intangible Cultural Heritage of Humanity by UNESCO is said to mirror the identity of the Portuguese people, with its melancholic lyrics and sounds … Let our Fado experts lead you on a fun night out visiting traditional Fado taverns, indulging on traditional food and drink and learning all about the passion behind it. The day we went to Ronda was a definite highlight. The absolute best part was at the bull farm, where we met the matador/owner, who was beyond gracious. 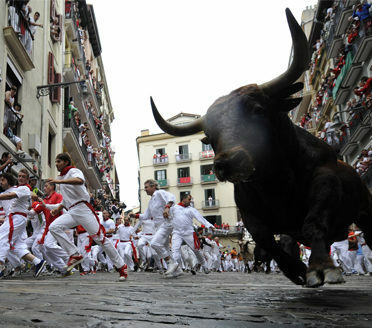 He talked to us about “dancing with the bulls” and what his life is like. He demonstrated his craft for us. And he even played with the kids, charging at them will bull horns! What an amazing experience that was! Our bullfighting expert gave us the most comprehensive explanation of bullfighting that we had yet heard, and that ended up being pretty profound. Not to mention the fact that I actually want to review my Hemingway again because of him. A field trip on a bull ranch with a true matador in the beautiful may weather and scenery was incredibly difficult to beat! Manu and his wife Maria, the flamenco experts, were perfect. What a delightful evening. We hit it off right away. They we will visit again! A+++. They played guitar and sang for us. Told us all about the Flamenco life. We had nice tapas and relaxed together. This evening was a wonderful welcome to Sevilla. As I said, we would visit again and certainly see Manu and Maria otra vez. We love them. We especially enjoyed our day at the Bull ranch near Toledo. Although we were hesitant in booking this tour, it was one of our best days there. 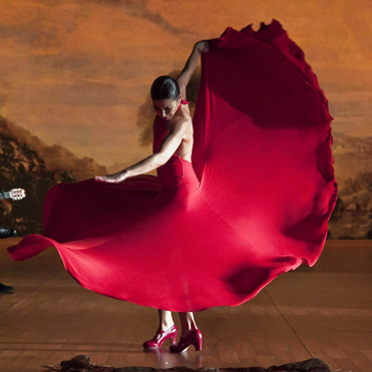 One of our favorite experiences was the Flamenco evening in Seville. We left feeling that we had new friends. That night… the Flamenco experience…Our arrival at a photographer’s studio, met by four enthusiastic Flamenco artists to perform for us only was really special. The evening was truly a memorable experience from listening to the fantastic guitar playing to watching and listening to the Flamenco dancing as well as learning about the art form and life of gypsies. The Flamenco show was very special and emotional. The dancers and musicians are all very talented! We are both very happy that we got to experience this. The bullfight was amazing. I had no idea of the pageantry and artistry involved. We had fantastic seats and were there on a historic night.